Destiny: The Taken King adds one new and huge location for players to explore called the Dreadnaught. Today in its weekly update, a developer from Bungie explained what players can expect from the Dreadnaught and when the expansion launches later this year. 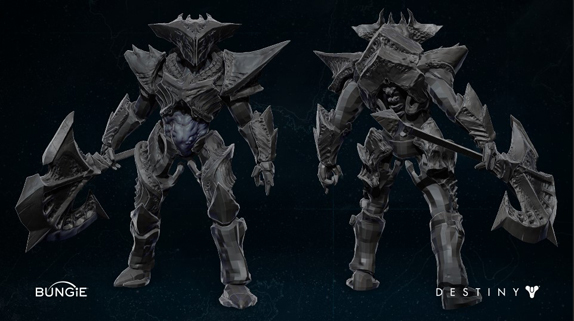 The Dreadnaught is a flagship of the Taken which is a new enemy class coming with the expansion. The ship originally was a Hive tomb ship but was stolen by the taken and was redesigned by them. Below you can see a collection of photos from the developer blog. Bungie is also going to be adding a lot of new missions and activities for players to do while they exploring the Dreadnaught. There will be new patrols, missions, and public events and they are all coming to the Dreadnaught. However, there are some new mechanics according to Designer Ben Wommack. 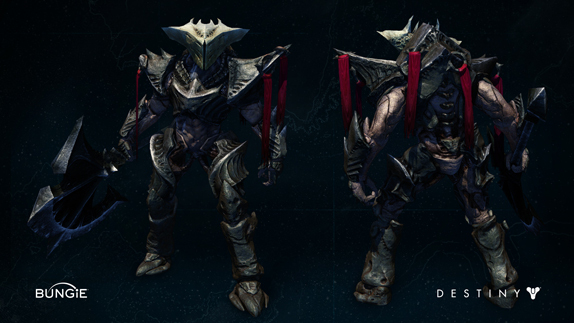 Finally, Bungie also showed off one of the new bosses players will encounter in Patrol mode called the Darkblade. Below are some concept pictures of him.